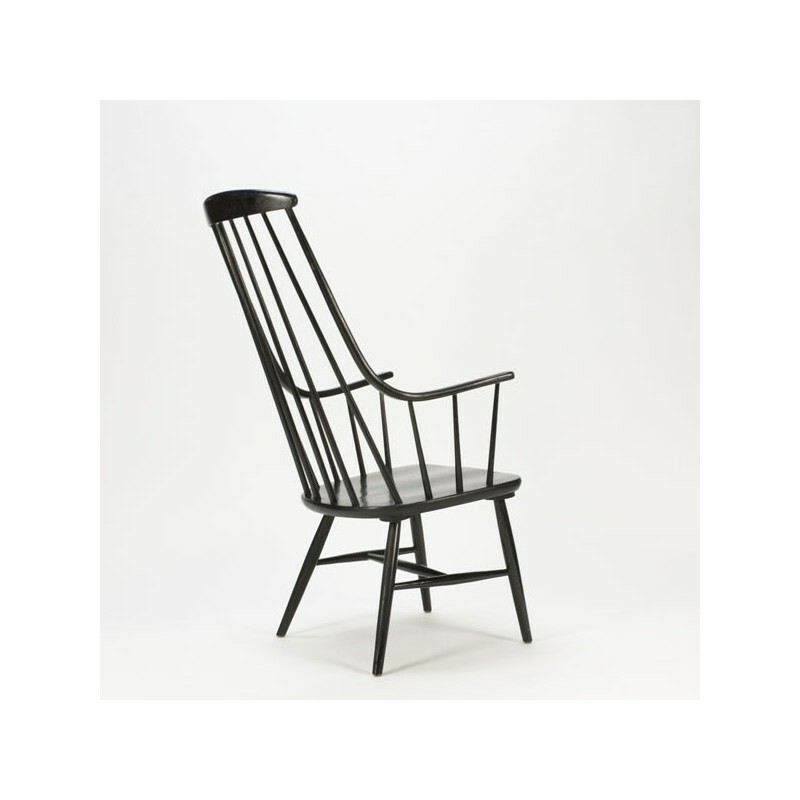 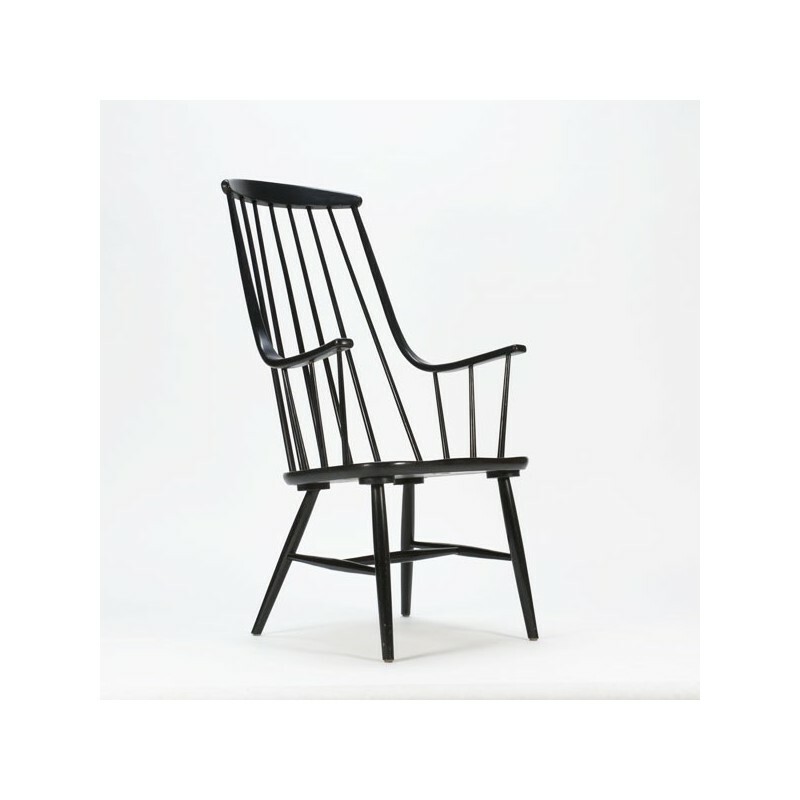 Black wooden fautreuil from the sixties designed in the style of Tapiovaara. 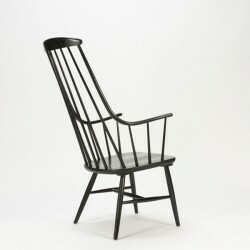 The chair is marked at the bottom with the logo of the store where it was purchased. 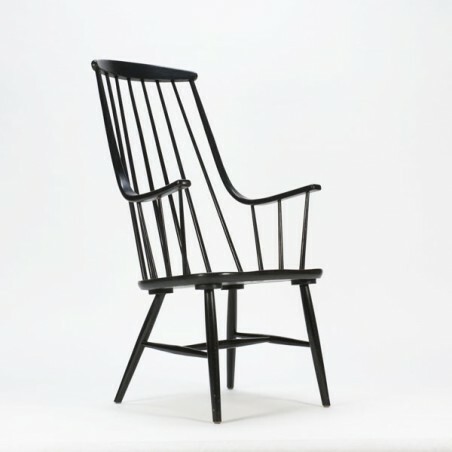 The chair is in good condition, see the detail photos. The size is 43.5 cm SH / H 114,5 cm H/ 60 cm B.